Let us start our exploration with the Digital SLR cameras, as these are the most robust entry level cameras to satisfy the insatiable needs of the adventurous more than the casual users. In order to make a good buying decision on entry level digital SLR cameras, we need to first get a sneak peek into the technology behind these products. The term digital SLR stands for Digital Single Lens Reflex which means a mirror is positioned behind the lens to reflect back the light towards the viewfinder while capturing a photo. When you open the shutter, the mirror retracts making way for light from the lens to travel across to the sensor & thereby momentarily blacking out the viewfinder. The viewfinder in an SLR incorporates a prism like the pentaprism, that can flip the mirror image around, so that you can view the exact true image on the focusing screen or the viewfinder. The SLR design allows the camera to harbor a wide dynamic range of focal lengths. As a result, it is possible for the SLRs to take sharp & crisp images at varying distances. However, with a non-SLR camera you will require to match the angle of view of the 'capturing' lens with that of the 'viewing' lens. Although, on a fixed lens or short-range zoom, it just makes things easy with aim & shoot mechanism. But, it requires a more complex & expensive viewfinder to cover a wide dynamic range of focal lengths.This issue is averted on a digital SLR, as the capturing and viewing lens are one and the same. Most mid-end and high-end digital SLRs incorporate a Live View mode, which allows the photographers to compose the shots the same way as the aim & shoot cameras using the LCD. The most basic shooting modes are programmed to lock up the mirror, allowing the prism to direct the image to a mini sensor which diverts the image to the LCD screen, rather than the capture sensor. This process could actually affect the performance. The blessing boon is that, one no longer has to manually focus the object in Live view mode, as the current models are equipped with contrast autofocus. Digital SLRs are literally inferred by these type of cameras and better known to people. As the name implies, the capability to remove the existing lens and replace with another lens ranging from ultra-wide-angle to super-telephoto sets these cameras apart. This kind of model suits the photographic experts and professionals alike, who would love to tinker till the last minute detail & settings. Example: Nikon D300 - Majority of the digital SLRs available today are of this type aptly suitable for long distance shots, capturing wide-angle/ultra wide-angle movies/videos and multitude of such feats. The lenses on these cameras are fixed and cannot be removed or modified, which limits their upgrade-ability & focal length. The popular ones of these models use a semi-transparent, fixed mirror to reflect some light to the viewfinder while letting most through to the sensor, which implies you could use their LCDs for composing. This category is mostly suitable for casual users who are looking for a simple digital SLR for home or casual use. Example: Olympus E-20N aptly suitable for everyday casual use or home use. These fall into the standard digicams category that use an electronic viewfinder (EVF) - a small LCD - in place of an SLR's pentaprism or a point-and-shoot's optical finder. They are often considered as pseudo SLRs because they have no mirror, and we've yet to witness an EVF that mimics the image quality of a decent pentaprism viewfinder. Most cameras of this category have extremely long zoom lenses and these cameras are sometimes referred to as ZLRs or megazooms. This category suits both the casual and the adventurous. Examples: Pansonic Lumix DMC-G1 aptly suitable for the experts or the professional category. Now moving on to the purely casual segment, we will be looking at aim & shoot cameras to satisfy the basic needs of the casual users. As the name indicates, this category involves basically aiming the camera lens to center the focus on the subject being shot, and then take a snap with the click of a button. A casual user need not look into investing into feature-rich expensive cameras, however there are some critical factors that need to be considered while making a buying decision on aim & shoot cameras. It makes sense to always opt for a camera with optical zoom rather than digital zoom technology. The optical zoom camera makes use of the exact mirror image of the object, as seen through the eyes and hence the pixel distortion of the image while zooming is minimal while the subject is magnified. However, in case of digital zoom, it tries to fill-up the gaps in pixel density by guessing the colour pattern, when the subject is magnified while zooming. The result is a compromise in terms of image clarity, colour crispness and image focus. Lens aperture size and focal length has to be optimally balanced. A higher focal length camera allows distant objects to be shot without blurring of the images and at the same time the lens aperture size can be adjusted, depending on the light conditions. The lower focal length cameras are ideal for close range shots. Under low light conditions (night times), we could increase the aperture size, to allow more light to fall on the camera lens and decrease the aperture size under bright sunshine (day time) to allow less light to fall on the camera lens. Although most cameras today ship with both manual and automatic aperture, some of them only have automatic aperture control. However, it is a huge advantage to have the manual aperture control, as we can tinker with the settings to get the best image clarity and crispness. A good entry level camera ideally ships with a focal length of 35mm to 105mm and also equipped with aperture priority. The shutter speed control makes a huge impact while capturing moving objects. Greater the shutter speed, better will be the focusing of moving objects. However, it would not make too much of a difference with still snapshots. So, it wouldn't be of much importance to the casual segment. All the while, it is a critical factor for the prosumer(adventurous) and professional category (For ex: Wildlife photography). Light sensitivity or image sensitivity plays an important role in adjusting light falling on the image sensor based on external light conditions. Higher image sensitivity is required in low-light conditions and vice-versa. So, the available range of ISO sensitivity makes a difference in the quality of the image taken. Although, most cameras ship with ISO auto function which is activated by default. Hence, the auto ISO feature is ideal for a beginner/casual user who does not have to bother tinkering with ISO settings. Additionally, a camera with an ISO range of ISO 100 to ISO 2000 would be ideal for casual use. Display technology plays an important role in the crispness and appeal of the captured images being viewed on the camera screen. Most point and shoot cameras today are built with TFT active matrix technology which has become an industry standard across all brands. Effective sensor resolution plays an important role in determining how closely the image being captured compares to the image seen through our eyes. The higher the resolution, we get better pixel density and colours in the image captured. 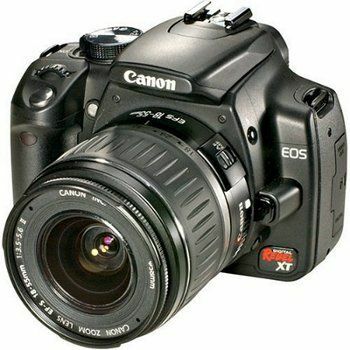 Hence, a 5Mega-pixel camera has become a norm for the basic entry level camera. A 5MP to 7MP camera should be ideal for beginners and casual users, as they are the cheaper, trendy & portable versions. But, the entry level segment has recently seen the manufacturers raising the bar and introducing 10 MP cameras with sleeker designs, much to the delight of the casual & adventurous users alike. Display (projector) diagonal size: it determines the size of the camera screen from one end at the top of the camera, to the diagonally opposite end at the bottom of the camera. The bigger the screen size, the better for watching video playbacks on the camera. The option of having manual or autofocus or both makes a huge impact in the overall useability of the point and shoot camera. By default, all point and shoot cameras ship with auto-focus these days. However, it is good to have a manual option which comes in handy for shooting moving objects. An auto-focus is good for shooting still images and often blurs out while trying to shoot a fast moving object. That is where, the manual focus, manual aperture & manual shutter speed make their presence felt in capturing the most memorable pictures of your lifetime! Last but bot the least, battery life plays a critical role in capturing all your snapshots without having to recharge often. Most of the modern day cameras ship with either the Li-Ion or Ni-MH batteries. These batteries are less expensive, provide a long battery life and suit the design aesthetics of a compact digital camera. However, if you are of the adventurous or professional type of user, it would be a good idea to buy those models which ship with rechargeable Ni-MH batteries(AA batteries) for longer battery life and higher energy efficiency. Although, the AA-batteries will lead to bulkier models, but can come in handy under challenging light conditions! Also, it is good to stay away from models that ship with disposable/non-rechargeable AA batteries, as they are very expensive in the long run. Having gone through the basic concepts and technicalities of the entry level cameras, let us now delve into a few top performing compact digital cameras under Rs. 7,000 for casual & entry level users. This camera is capable of capturing images at a maximum 10MP (mega-pixel) resolution and supporting a maximum image size of 3648 x 2736. It also incorporates a 3.3x optical zoom and a 4x digital zoom feature. It has a very sleek and compact design, weighing hardly 140 grams with body dimensions of 92 x 62 x 31 (mm W x H x D). It is also equipped with advanced face detection and autofocus technology that aptly suits the beginners. 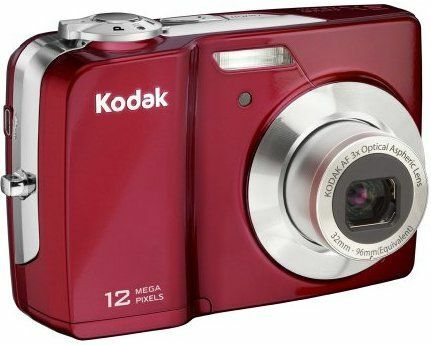 The Kodak EasyShare C182 captures images of resolutions up to 12MP with a maximum image size of 4164 x 3050. It is very sleek and trendy weighing hardly 128 gms with body dimensions of 97 x 62 x 28 (mm W x H x D). 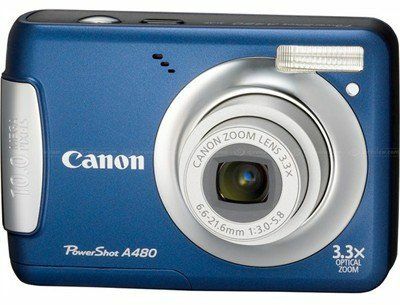 it is equipped with a 3x optical zoom and a 5x digital zoom. Kodak EasyShare cameras are meant to make sharing of pictures very simple and easy. It lets you easily organize, share and print the photos with a click of the share button. Armed with a high resolution 12MP image sensor, it allows you to easily crop or enlarge your images without compromising on image quality. 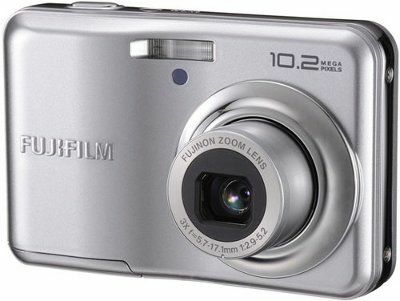 The Fujifilm FinePix A170 is armed with a 10MP(mega-pixel) sensor that allows you to capture high resolution images with optimum clarity. It is the sleekest of the three models we have seen, weighing hardly 113gms with body dimensions of 92 x 55 x 20 (mm W x H x D). It ships with a 3x optical zoom and a 5x digital zoom. In addition, it is bundled with an assortment of rich-features like scene recognition auto, face detection and anti-blur mode that enable user to capture high quality photos with ease.